November 15, 1909. Bridgeton, New Jersey. “A few of the workers on night shift at Cumberland Glass Works. One boy is 13 years old.” A livelier than usual crowd as far as facial expressions go. 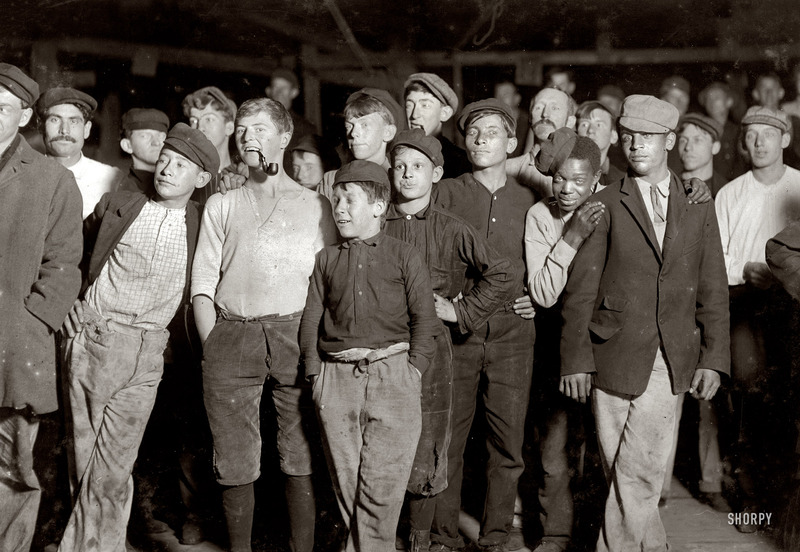 Photograph by Lewis Wickes Hine.